Following are 9 superfoods that can help you lose or maintain weight, either by helping you to eat less or to burn more calories -- or, in some cases, maybe even helping to decrease your body fat. Experts say there are two basic categories of foods that can be considered "keeping it off superfoods" because they fill your tummy without piling on the calories: fruits and vegetables. For example, two whole cups of steamed broccoli packs a measly 87 calories. Or how about two cups of strawberry slices? They'll add only 99 calories. If fruits and vegetables are the "keeping-it-off superfood groups," fiber may well be the "keeping-it-off supernutrient." 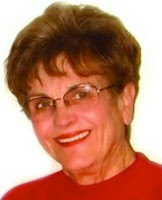 "Eating enough protein-rich foods of low energy density [calories per portion] is a good strategy for increasing satiety, especially if you are trying to lose weight," says Barbara Rolls, PhD, a researcher at Penn State University and author of the book The Volumetrics Eating Plan. Protein can slightly boost metabolism, Rolls says. But, she explains, eating more calories than your body needs -- even in the form of protein -- will promote weight gain, not loss. Keeping it real... At the end of the day, weight loss is about burning more calories than you take in. The advantage to these foods is that they may help you do just that -- if you eat them instead of some higher-calorie choices. Go out of your way to indulge in a tall glass of iced green tea or a mug of hot green tea when you get the chance. Here's why: In a recent study, volunteers who drank a bottle of tea (fortified with green tea extract) every day for three months lost more body fat than another group who drank a bottle of regular oolong tea. Except for the different teas, their overall diets were similar. Researchers suspect that the catechins (helpful phytochemicals) in green tea may trigger weight loss by stimulating the body to burn calories and mildly decrease body fat. Calorie-containing liquids generally are less filling than solid foods, but soups are the exception, says researcher Richard Mattes from Purdue University. In Mattes' study, participants were fed 300-calorie servings of various soups before eating their lunches (they could eat as much lunch as they wanted). 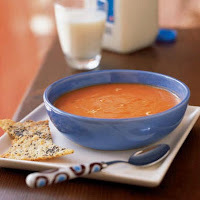 Mattes found that the study participants tended to take in fewer total daily calories on days when they had the soup, suggesting that eating low-calorie soups (the broth and tomato-based ones) before meals may reduce hunger and increase feelings of fullness. Having a low-calorie salad (no cheese, croutons, or high-fat dressings) as a first course can help you feel fuller and reduce the calories you eat during that meal, according to a study by Rolls. 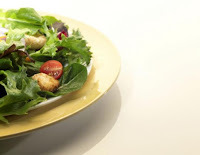 She found that eating a small low-calorie salad tended to cut calories eaten at the meal by 7%, and a larger salad by 12%. Just how low-calorie can a green salad be? Consider that two cups of fresh spinach leaves, 10 slices of cucumber, one medium tomato, and 1/4 cup of grated carrot has a grand total of 67 calories (along with a hefty 5.5 grams of fiber). Yogurt is a dairy food, and several studies have found that including dairy products as part of an overall lower-calorie diet may give you a weight-loss advantage. Still, some scientists aren't convinced, pointing to other studies that show no strong effect between dairy and weight loss. One study looked at a group of obese adults who ate three, 6-ounce servings of fat-free yogurt a day as part of a diet reduced by 500 calories from their normal intake. The study found that this group lost 22% more weight and 61% more body fat than another group of participants who ate the reduced-calorie diet without emphasizing calcium-rich foods. Even more impressive: the yogurt eaters also lost 81% more stomach fat. More needs to be learned about the mechanism responsible for this increased loss of body fat, but in the meantime, consider giving yogurt a little more respect. At the very least, a light yogurt may help you stave off hunger due to its combination of protein and carbohydrate. 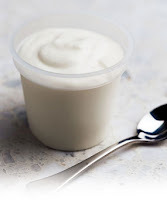 Six ounces of plain, low-fat yogurt contains approximately 9 grams of protein, 12 grams of carbohydrates (from milk, not sugar), and 311 milligrams of calcium. It's also a great vehicle for healthy additives like fruit or omega-3-rich flaxseed. 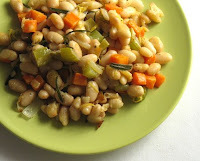 Beans help you feel full longer, which means they may work to curb your between-meal appetite. They also give you a big fiber and protein bang for a minimum of calories. One-half cup of pinto beans or kidney beans has around 8 grams fiber and 7 grams of protein, all for about 110 calories. Water is a keeping-it-off superfood because it's a great alternative to other, calorie-containing beverages. When you drink beverages that have calories (like coffee drinks or sodas) you are not likely to compensate by eating less food. Mattes' research suggests that people who drink liquid carbohydrate (in the form of soda) are more likely to consume more calories than their bodies needs, compared with people who ate the same amount of solid carbohydrate (in the form of jelly beans). Water is necessary for life, and you should be drinking it throughout the day. You can get your water via unsweetened tea, flavored unsweetened mineral water, regular water with lime or lemon, or cucumber. Even brewed coffee (especially decaf) counts if consumed in moderation. While diet shakes are not the solution to weight loss or maintenance, research shows that they might help. Women who had lost weight on a reduced-calorie plan that included meal-replacement beverages maintained their losses after a year by drinking at least one diet shake a day in place of a meal, according to a study done by Clinical Research laboratories (and funded by Slim Fast Foods). 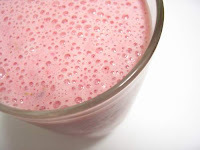 If you go for a diet shake, choose types that have more fiber and less sugar. Whole grains in general help boost fiber and the nutritional value of your meal, but many studies done on their relationship to weight loss have specifically involved breakfast cereals (many funded by cereal companies). A Purdue University study suggested that having a portion-controlled serving of ready-to-eat cereal (with 2/3 cup skim milk plus a 100-calorie portion of fruit) as a meal replacement may promote weight loss. Other research that looked at data on over 27,000 men over an eight-year period found that as whole grain consumption went up, weight gain over time went down. Another study followed more than 74,000 women (aged 38-63) for a 12-year period and found that those with the greatest increase in dietary fiber gained an average of 3.3 fewer pounds than those with the smallest increase in fiber. Maybe there was something to the old grapefruit diet after all: A study found that grapefruit may help encourage weight loss and reduce the risk of developing type 2 diabetes. Study participants who ate a grapefruit at each meal for 12 weeks lost an average of 3.6 pounds (some in the group lost as much as 10 pounds), while a comparison group that didn't eat grapefruit lost 1/2 pound, according to a recent pilot study by Scripps Clinic in San Diego. The researchers noticed that after the meals, the grapefruit eaters also had reduced levels of insulin and blood sugar. The American Institute for Cancer Research notes that "there's no scientific evidence to support that grapefruit enzymes burn away fat." And according to the American Dietetic Association, "if you lose weight when you add grapefruit to your eating plan, it's probably because you're substituting it for another food that has more calories." Of course, there's nothing wrong with that. One pink/red grapefruit takes a bit of time and effort to eat, and it adds 3.5 grams of fiber with only 74 calories. Keep in mind that grapefruit can interfere with the effectiveness of some medications, so check with your pharmacist if you're taking medication. Great article. I have been drinking a lot of green tea over the last year and I am sure it has helped my weight loss. I am suddenly motivated to make a big batch of homemade yogurt. Beans...so good. I love grapefruits too! great list! All great stuff, thanks Laura. I eat just about everything on that list, except grapefruit. May have to try to squeeze (get it?) it into my diet. Rachel - Thanks for stopping by! I keep hearing and reading about green tea helping with weight loss. I bought some from the health food store and still haven't made it! I have a friend that takes green tea pills and she says they're good appetite suppressors. Marilyn - I'd love to get your recipe! Blake - I love all kinds of beans too but I've never been able to stomach grapefruit. Once my Mom and I did the grapefruit diet... about did me in. Mike - Hi there! Your healthy eating inspires me! That's an interesting list - I was surprised to see beans on there! Yeah, Green tea should be #1!..i just love drinking green tea, it will not just help you lose weight but will also lessen your stress and will feel more energetic..Thanks for this article that inspired me more to continue drinking green tea..
Health Assistant - I'm going to have to become a drinker of green tea that's for sure! :) Thanks for stopping by! Nothing Like It - Yeah, you don't see beans getting much credit for weight loss do you? It's a great source of protein and fiber. Health and Fitness - Glad you liked the post. Green tea keeps making the news so there must be something to it.